MCG Group is an Australian owned and operated group of companies, whose membership includes sub-businesses in resource and property development, civil construction, drilling, and mining. 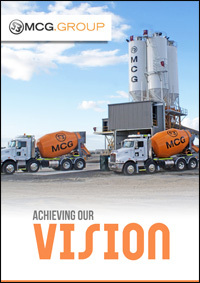 The Group also owns and operates several large hard rock quarries in Queensland and Victoria, a concrete batching plant, and a NATA Accredited Soil Testing Facility, MCG owns an extensive fleet of earthmoving equipment and crushing plant which is mobilised to various sites on the East Coast of Australia as required. The senior personnel at the MCG Group have extensive and varied experience, and have successfully completed a diverse range of projects within the civil construction, quarrying, coal mining, metalliferous mining and mineral sands industries throughout all of Australia. These senior personnel are also either directly involved or deliver valuable input into the successful development of our property and resource portfolios. Currently, the MCG Group is involved in several large resource and property developments and the input and expertise of our team is highly beneficial right from the initial design stage all the way through to development. MCG’s thorough understanding of all industry requirements, with particular regard to safety and environmental issues, and high quality product and construction delivery ensures successful completion of our projects. MCG Group oversees seven different member companies, all of which work in a different niche to advance the main company as a whole. This allows each to operate independently and efficiently, and without the burden of excessive bureaucracy. At the same time, however, MCG still maintains a competitive advantage in the synergies available within our various companies and amongst our strong group of preferred suppliers and subcontractors. MCG Properties is the property acquisition and development division of MCG, with current interests throughout Brisbane and Townsville in QLD, as well as a hotel development in Victoria. The Brisbane and Townsville projects encompass over 700 apartments in complexes located in three different and highly sought after locations. MCG Quarries is the quarry and batch plant owner and operator for the company, which includes production and management of a wide range of products comprising Main Roads Queensland certified products and a full range of quarry materials. Some of these are road base and sub-base, top 600, aggregates, ballast, gabion and rip rap rock as well as specialty products for special orders as required. The company’s main quarry is located south of Moranbah and can deliver products throughout the Bowen Basin with their extensive road train haulage fleet. Moama Resources, one of the latest MCG Group ventures, has already won two gold exploration licenses in Warracknabeal and Horsham, both located in Western Victoria. The company plans to begin new explorations in the near future. 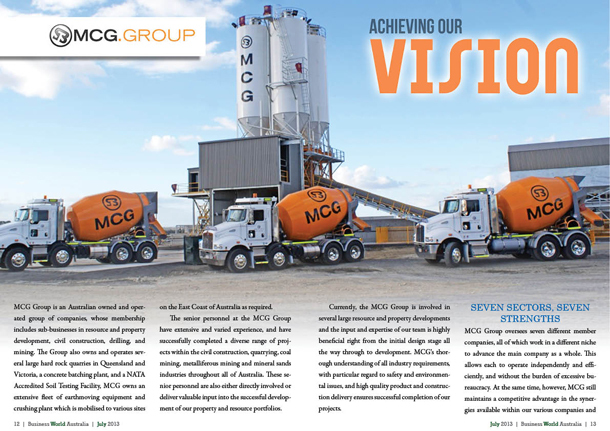 MCG Civil is the civil works and construction branch of the MCG Group, with a specialization in greenfield developments, however MCG Civil has completed an extensive portfolio of projects on both greenfield and brownfield sites. The company implements an integrated approach to addressing safety and environmental concerns, while also maintaining a focus on the delivery of a highly professional and friendly level of service only they can provide. MCG Civil has already completed a number of challenging projects in environmentally sensitive areas with little to no impact. Some examples include sites in marine national parks, as well as locations considered as sacred sites on Aboriginal native land. MCG Plant owns and maintains the MCG Group’s mobile equipment fleet, which is located throughout the eastern States of Australia. This equipment is maintained by an experienced maintenance team, and uses the MEX system to manage fleet maintenance and ensure all vehicles are serviced and maintained to the exacting standards required throughout the civil and mining industries. MCG undergoes frequent equipment reviews and upgrades to new or near new equipment as other plant reaches MCG’s predetermined lifecycle limits. Jingella, the last of the MCG Group companies, is an active investment management corporation that finances early stage projects and companies, as well as private businesses in search of capital for special opportunities. The company also, through Jingella Coal Services, helps buyers secure and potentially increase their supply of both Indonesian and Australian coal, while reducing the many risks of non-performance. “What sets MCG apart is we’re a hands-on company with direct involvement from all levels of management in our projects,” says Tony Addinsall, Business Development Manager at MCG Civil. 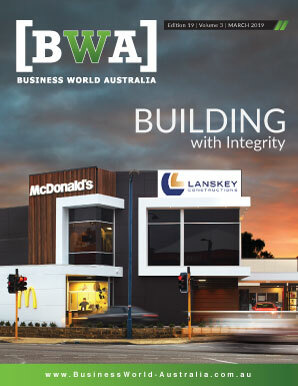 “We’re a medium-sized company, so our management can be very much involved in the day-to-day operations, we are also extremely aware of the importance of being proactive to our clients’ needs and being able to provide the flexibility required as projects develop, or objectives are modified. While each company under MCG retains its own identity and projects, the group itself is run by a united management team that is always working to advance the Group as a whole. That team is assembled from only the highest quality professionals. By collaborating and working together closely, they ensure that all company projects are completed both on schedule and on budget. MCG also employs a fulltime QSE management team, who manage and implement of the Group’s entire integrated management system. That system – which underlies all of MCG’s member companies – ensures adherence to strict safety and environmental standards. Operating responsibly is a major priority for MCG management, as well as all of its personnel. They take the safety of their people, and the health of their environment, very seriously. MCG’s staff is also equipped with a wealth of experience at every level – and with experience comes understanding. This has allowed the Group to appreciate different client’s needs and thereby provide a customised service to best accommodate them. Senior MCG personnel are also available to attend briefings or site visits as required, as well as providing advice during the planning and implementation of the various projects run by the member companies in the group. Moving forward, the Group’s main priority will be to continue to provide that high level of client service in all of their activities. They will aim to maintain and improve their reputation for being a client-centred provider of a wide variety of services. Positive growth will be achieved as a natural benefit by maintaining our focus on what is important to our clients, our personnel and our team.